Interested in innovation, entrepreneurship and creating change in our communities? Sign up for our Launch Newsletter to stay up to date on opportunities to learn, build and grow. The OSU Launch Pad program helps first-year students explore what it means to make new ideas happen. 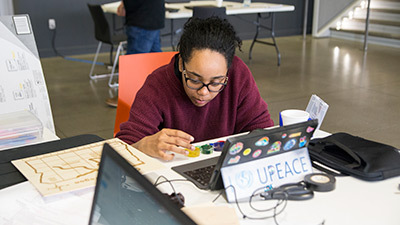 If you're interested in changemaking and innovation, enroll in Launch Pad and connect with a group of peers who share your passion. Apply to Launch Academy to earn up to $5,000 and course credit to get your business idea off the ground. Be part of a community of students who share your passion for bringing big ideas to life. 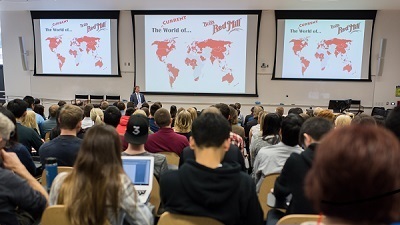 Every Thursday, we bring an entrepreneur or professional to Austin Hall to share his or her experiences and help students develop their ideas. 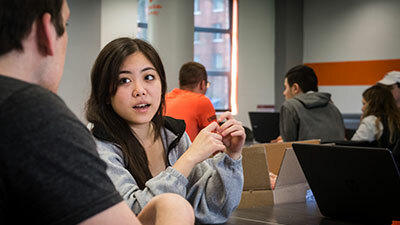 InnovationX, the Oregon State University Center of Excellence for Innovation and Entrepreneurship, is OSU's hub for student entrepreneurs, innovators and changemakers. InnovationX supports students who have ideas, who have already started a business or who are simply passionate and drawn to innovation. Through programs like Launch Pad, Launch Academy and more, we provide the resources, education and community that can help you capture, share and test ideas and turn them into reality. Learn more about our work.